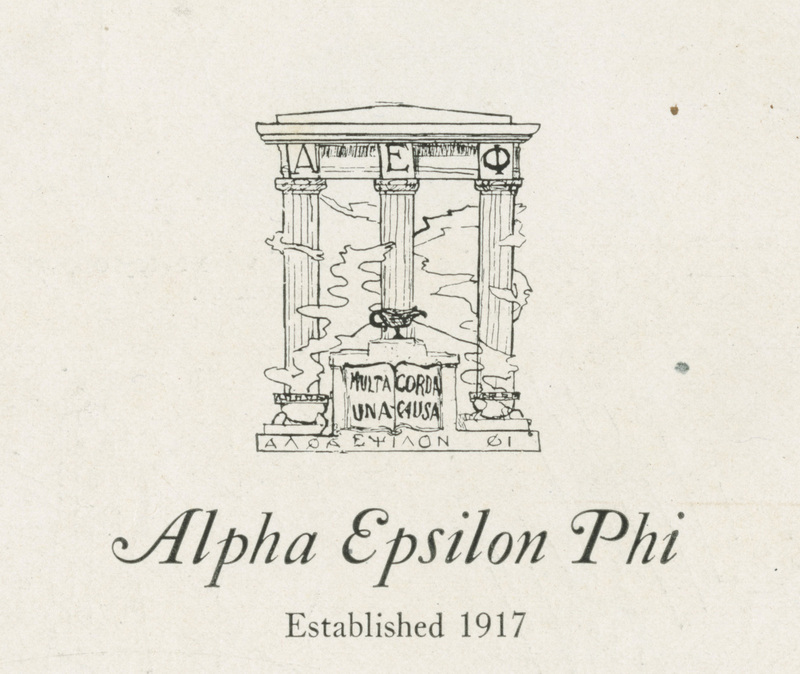 Alpha Epsilon Phi was founded by seven women at Barnard College in 1909 and incorporated under New York State law in 193. The Alpha Epsilon Phi motto is “Many hearts, one purpose.” Its flower is the lily of the valley and its colors are green and white. 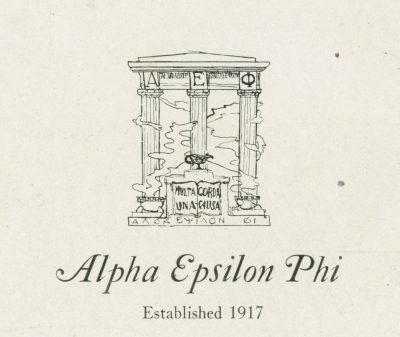 The three columns of the Alpha Epsilon Phi crest, shown at left, represent approval, student esteem, and sorority fidelity. The Theta chapter of Alpha Epsilon Phi was founded at Penn in 1917 and closed in the early 1930’s. It was reestablished in 1959 by a group of transfer students who had been members at other colleges, but once again closed in the 1971.